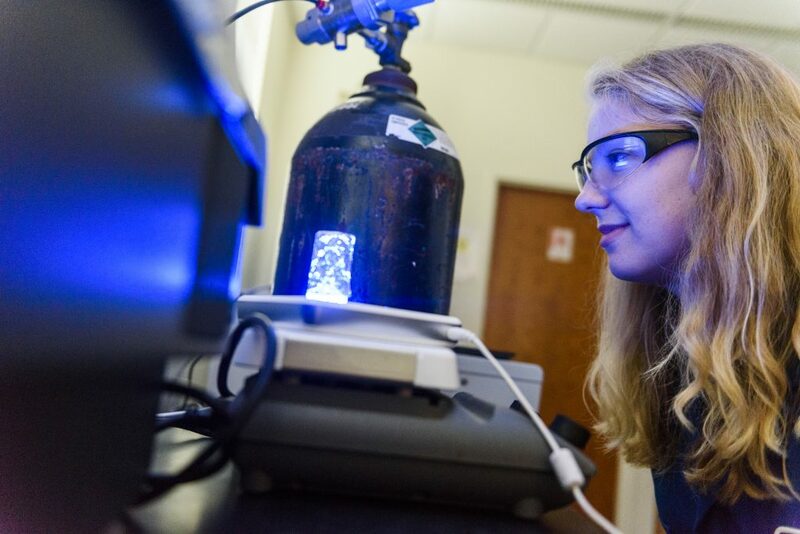 Graduate student Jessica Gray monitors a photochemical reaction from blue light that causes ligand loss and activates the Papish group’s flagship anticancer agent, the ruthenium complex. Grief for a young colleague and natural intellectual curiosity launched Dr. Elizabeth T. Papish on a path toward using a metal, light and acidity to battle cancer cells. Trials and treatments may still be far in the future, but Papish’s research has, at least, pointed in a potentially beneficial direction. 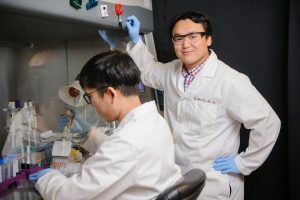 Papish, an associate professor of chemistry at The University of Alabama, is seeking ways to customize a substance doctors can turn on and off in the body and that will attack only cancer cells. Current chemotherapy tends to kill all fast-growing cells – creating a host of side effects, such as nausea, hair loss and other problems, including, in some cases, death from the chemotherapy. Researchers are eager to find more nuanced treatments. This complicated process of scientific discovery began with a talk Papish was to give at Princeton University. Then teaching at Drexel University, she was invited to speak by a former student, Jessica Bongiovanni, who was studying at Princeton. A week before the lecture, Bongiovanni called to cancel because she was diagnosed with cancer. The shock of her death ignited Papish’s curiosity. “One way I deal with grief is to read a lot about the science behind what afflicted the person,” Papish said. Around that time, she came across an article reporting cancer cells typically have a lower external pH, meaning more acidic, and another article about a class of light-activated compounds. They are inactive in the dark, but they become active when light shines on them. Dr. Yonghyun Kim, right, with graduate student Seungjo “Joe” Park. Papish’s idea was to find a light-activated substance to attack a cancer cell because of its lower-than-normal pH level. 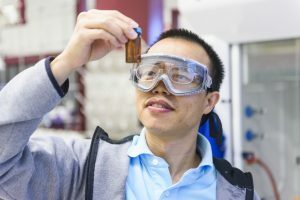 A colleague at Villanova University, Dr. Jared Paul, had accidentally come across an interesting property of the molecules containing ruthenium. 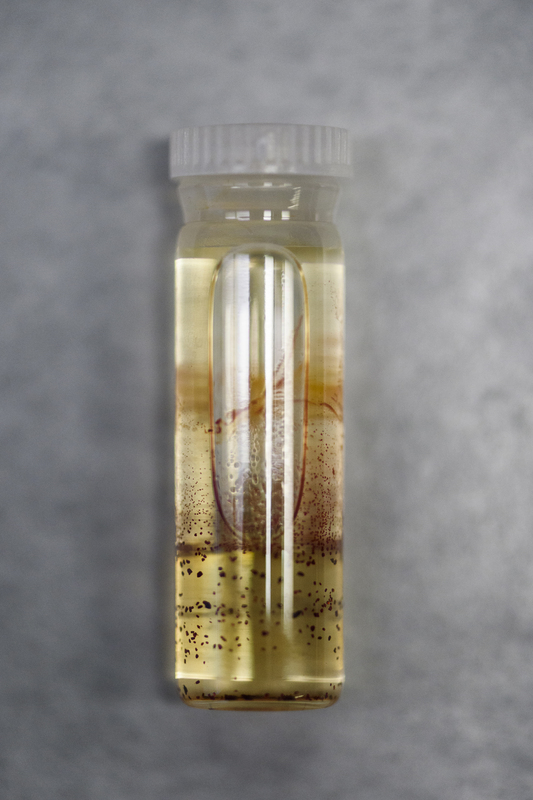 The colleague’s lab workers left a solution on a window sill for a couple of weeks to form crystals, and they discovered they had lost a molecule that was bound to the ruthenium – meaning the substance was activated by daylight and was capable of doing some damage. A collaborator at the University of Cincinnati, Dr. Edward Merino, was the first to confirm these compounds kill cancer cells. When ruthenium has six chemical bonds, it cannot do anything in biological terms. It’s inert. Cleave with light, though, ruthenium releases free sites, or labile ligand sites. It’s thought these ligands can leave easily and bind with the molecules in the cells, killing them. Furthermore, the compounds they were working with were sensitive to lower levels of pH. Areas around cancer cells are lower in pH because the higher metabolism of the cells makes them spit out more acids as waste. So, an idea was born – a substance sensitive to light and higher levels of pH could, theoretically, be activated selectively and go after cancer cells to the exclusion of healthy tissue. A crystalline sample of ruthenium complex allows scientists to determine the structure of the molecule by X-ray diffraction. 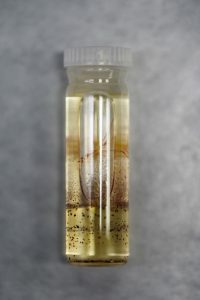 Papish, Kim and their lab colleagues are working through a series of compounds to test different aspects of their idea. They’re changing the compounds, the solubility, the light used to activate the substance and the kind of cancer cells they’re using to see how well the compounds kill them. The standard used to compare cancer treatments is IC50, which stands for inhibitory concentration 50 percent, or the concentration of the substance that kills half of the cancer cells in the test. So far, Papish and her lab colleagues have achieved encouraging IC50 values. If continued research proves productive, they may be able eventually to move to the trial stage – but it’s a big if. “If you get those low enough, then they’ll test it in animals and maybe eventually clinical trials,” she said. 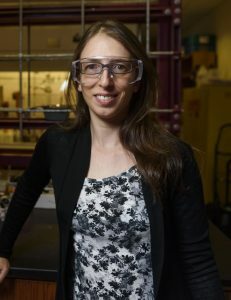 Papish and her colleagues have published papers from their research, and Kim has been an eager collaborator with Papish as they share ideas and work in their labs. Dr. Fengrui Qu, a postdoctoral researcher, examines the crystal growth of the ruthenium complex. The idea Papish brought to UA and which she, Kim and many other researchers will participate may take years to bear fruit – if it does bear fruit. Of course, success can be measured multiple ways, not just by reaching clinical trials, but also by determining if pH levels can be used to design better therapies. In the meantime, Papish’s grief has delved deeply into a previously unexplored area of chemistry that, with some patience, may eventually lead to a more focused way to treat cancer. “We’re not at the stage of having a chemo therapeutic – this is still very early,” she said. “But we know that these compounds are activated by light, and we’ve seen them kill cells once they’re activated by light. Dr. Papish is an associate professor of chemistry, and Dr. Kim is an assistant professor of chemical and biological engineering. A paper outlining some of their work on this project was published in the journal Inorganic Chemistry.